The Ravine Trail winds past a small pond, a waterfall, and over many small streams. 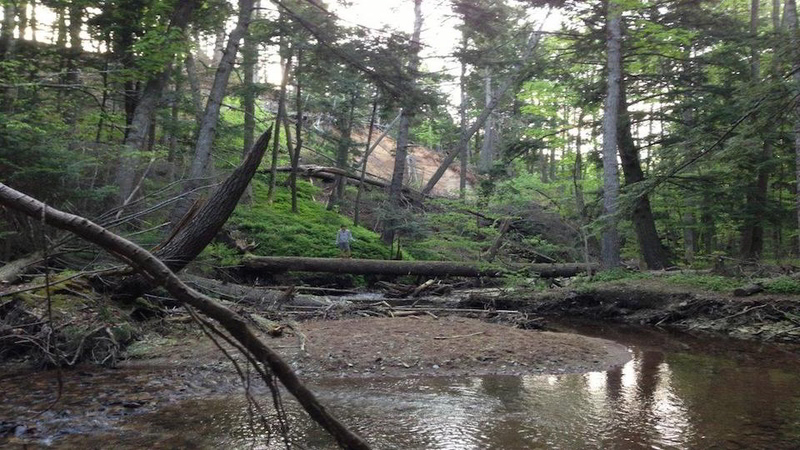 Hiking in the Kentville Ravine provides the experience of being lost in nature among hemlock growth over 250 years old. The trail can be accessed at the East end of Town at the top of the Research Station Property.